Why do I write? Well… you know, it’s something I’ve wanted to do since I was a little kid, when I was very young and I was obsessed with books, and I grew up in a house full of books, and my parents loved to read. So I devoured every book I could get my hands on, and of course that lead me on to storytelling and I just really wanted to do it myself. Even as a kid I used to write short stories and stuff – most of them were pretty awful – but I caught the bug and then I’ve been doing it ever since. Now, I know you studied accounting and you are a qualified accountant. As you moved away from that and into professional writing, did you ever think you wouldn’t succeed? Were there any difficulties in that process? Oh yeah, very distinctly – I spent a couple of years wondering what the heck I was trying to accomplish. You know, I have four children, so I could totally see us living in a ditch somewhere trying to eat crap to stay alive. But, you know, I always tell people that I was an author trapped in an accountant’s body, not the other way around – even when I was in university I totally wanted to be an author, that was always my ultimate goal. I was writing my first novel! I just wanted to have a backup plan. So I did do accounting for a few years; during that whole time I was trying to get published and working on manuscripts. I didn’t really take a huge, blind leap of faith; I didn’t quit my job until I sold The Maze Runner to my first publishers. So, I was pretty careful with it, but also very ambitious, and it was always my ultimate goal. You’ve spoken a lot about how you’re quite influenced by movies. Do you think it’s fair to say that your books are more cinematic, or more literary? Is that even a distinction worth making? I think it’s a good distinction. I mean, I’m a person where my books are very cinematic, very adventure oriented at their most basic level. I think that, for anything like that to be successful – whether it be movies or books – no matter how much mystery or suspense or thrills it has, you really need to develop the characters. People have to care about the characters for them to care about what happens to them. I guess I shape my books as films in my head, and try to translate that to the page, so it can be understood on a deeper level that it’s the characters that matter most. 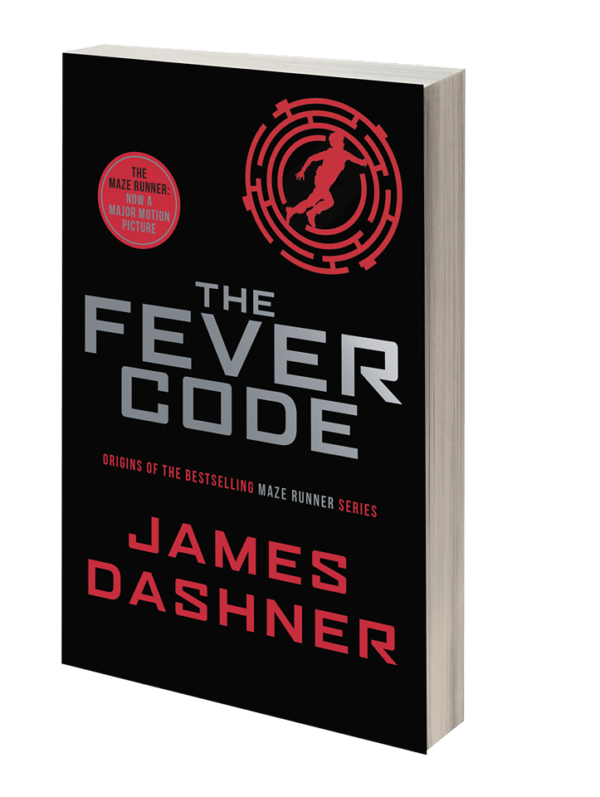 So, your most recent book in The Maze Runner world is The Fever Code. Can you tell us a little bit about the development of that book across its different drafts? Yeah, absolutely. The Fever Code is something that’s been in my head since the very beginning. When I first sold the manuscript to The Maze Runner to my first publisher in America, I told them at the very start “this is a very mysterious story, their memories have been wiped, there’s a lot of allusions to what happened before they arrived in the Maze – it could be fun someday to write a prequel”. All through the years we talked about that and we talked about that, so it was a thrill to finally sit down and write this. 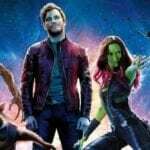 Given that the popular perception of prequels is that they generally not very good, did you have any particular concerns about writing prequels? What challenges did that present? Yes, it’s funny because I’ve never really been a fan of prequels myself! [Laughs] So I felt like kind of a hypocrite writing a couple of prequels. But the nature of these stories, they had so much depth and mystery to it, but the original series had such a strong ending to it that it didn’t make any sense to write any more sequels after The Death Cure. I really wanted to stay in that world for a little while, and so did a lot of my fans – so, being very aware of the fact that that prequels are often kinda lame, I really poured my heart and soul into this. I had a few twists and turns left to surprise my readers, and again I tried to stay true to my characters – the most important thing, always. Maze Runner is part of a tradition of dystopian YA novels, like Hunger Games or Divergent and so on. Why do you think that genre of the dystopian novel has become so popular in recent years? Um, I think… I think a lot of it has to do with how connected people are these days on social media. I don’t know, I feel like younger people are much more aware of all the problems in the world outside of their own spheres than they were when I was a kid. Dystopian novels take a lot of current themes and a lot of current tragedies and geopolitical disasters, and kinda turn it into story form by projecting it into the future and giving you a chance to talk about it. I think they identify with our own world sinking into complete despair; you know we see it in the news all the time, and this takes it to the next level. I think kids enjoy losing themselves in these potential futures where they could maybe save humanity from all the bad things going on. Do you think the commentary offered by Fever Code is different to that of The Maze Runner, given it’s been seven years and so much has changed? Well, a lot of the story has been in my mind and been in my notes – I wouldn’t say that they were, book by book, affected by outside influences; I try to stay true to the story. But naturally, as you live your life and have more experiences, they just bleed into your story and I think that by the end of the series, you really could relate it to a lot of the things in the real world, a lot of feelings that people are experiencing. It’s been fourteen years since you released your first book; the majority of your writing has been aimed at YA audiences. What sort of changes have you noticed in YA audiences across that time? Well, for me it’s gotten a lot more mature and older; when I sit down to write a book I always write what feels good, what feels right – I’m not really thinking about the age I’m writing for. But my first two books were definitely for younger audiences, maybe eight to twelve year olds; when I started writing The Thirteenth Reality and The Maze Runner it just started feeling older, more mature, with heavier themes, darker themes. It just felt natural to me; it wasn’t really something I did on purpose. I don’t know. People have been saying for decades that kids grow up faster now, they know more about what’s going on in the world, they’re not as naïve or as innocent, so I think things got a little darker. But in that darkness I always tried to have some light through the characters, with themes like loyalty and friendship. I think there’s something for kids to take away from that. Is there anything you can tell us about the projects you’re working on at the moment? Yeah, there’s something I’m actually really excited about, which ties into your last question a little bit. I recently sold my first adult novel to a publisher – it’s not really official yet, but it’s kind of a thriller mystery horror novel that I’m extremely excited about. It’s very different for me, it’ll be for a bit of a different audience; I haven’t quite finished it yet, but I’m very excited about it. I’m also looking to do a graphic novel project, and I’m also working on ideas for another, more traditional, young adult novel. So I’ve got all sorts of things in the mix! Finally, then, what’s the most important thing you’d like a reader to take away from your writing? I think first and foremost it’ll always be the entertainment; books are a way for people to escape from everyday life – sometimes from the drudgery, sometimes from the horrors, sometimes from the boredom. Storytelling is a way for us to escape and to go away for a while, and that will always be my first and foremost goal. James Dashner, thank you very much! The Fever Code is available in paperback on 7th September in all good book shops. Find out more at mazerunnerbooks.com.